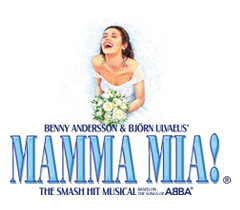 Congratulations to the MAMMA MIA! German Tour which recently won Best Touring Show at the Broadway World Germany Awards! MAMMA MIA! is currently performing in Vienna until 3 February before moving to Bregenz from 6 - 17 February. The show will then visit Zurich, Basel, Munchen, Baden-Baden and Essen. Click here for information and tickets to all German tour venues.